Handling steel and aluminum cargoes in all forms requires special knowledge, skilled supervision, and proper equipment to ensure safe and efficient operations. 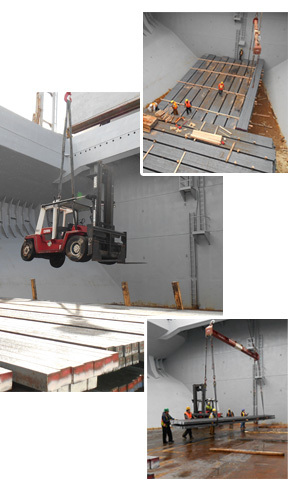 Jones Stevedoring Company delivers the knowledge, skill and equipment required to move your metal product between vessel and dock. Some of the largest steamship lines in the world trust Jones to handle their cargoes. Consequently, Jones handles over 1,000,000 tons of steel in the Columbia River annually. Whatever your metal product cargo need, Jones Stevedoring Company is recognized as an expert worldwide.